Atec, Inc. can send our experienced Quality Inspectors to audit, verify and inspect suppliers’ facilities to ensure services are being manufactured to design specifications and project requirements. Atec can also provide our inspectors on-site or in the field to make sure projects stay on track conforming to specifications and customer requirements. Atec Field Inspectors come on-site or in the field to make sure projects stay on track and conform to specifications and customer requirements. 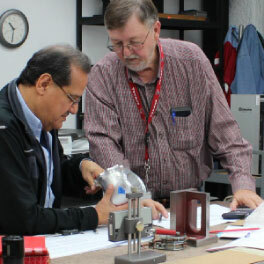 Our quality assurance team is authorized to inspect and stamp final approval on behalf of some customers. Developed with the customers’ needs in mind, quality inspections vary in accordance with customer-specified requirements. Atec, Inc. is ISO 9001:2015 & AS9100:2016, Rev. D certified. As a result of our ongoing rocket valve program, Atec, Inc. is an LCS (Laboratory Control Source) Approved Supplier for Pratt & Whitney and Rocketdyne. 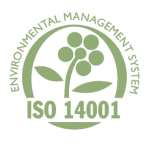 Our main clean room is certified annually as an ISO14644-1, ISO Class 7 Clean Room. Atec, Inc., designs and manufactures to customer specifications with a zero-defects attitude. Our aim is to deliver end-user products which operate flawlessly, due to the extremely failure-sensitive activities of our customers. In addressing this objective, Atec, Inc. employs team quality acceptance testing before shipment and support in the field. Atec, Inc. has maintained a zero defects to the end-user performance record with some customers for over seven years. At Atec, Inc., our emphasis is on time quality delivery. 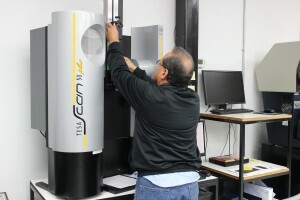 Atec, Inc., has procedures in place, under our AS9100D and ISO9001 certifications, for ensuring contract compliance. 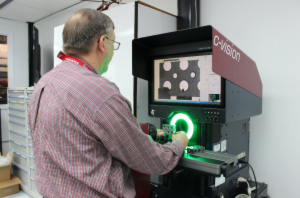 Every incoming component, and outside service, is integrated into the final assembled product and verified by a properly trained inspector. These inspectors function independently of the manufacturing operations and report through a chain of command, which is separate from Production reporting to Atec, Inc.’s President. Atec, Inc. maintains accuracy in reporting at all levels throughout the plant with checks and balances normally associated with much larger companies. Documentation, such as Production Routers, Inspection Reports, Acceptance Test Procedures, Engineering Change Proposals, and Discrepant Material Reports, requires multiple signatures from personnel across different departments and supervisory reporting structures. Quality is the job of everyone at Atec.